While looking for things to do on our drive to Ketchum, Idaho, for a recent camping trip I stumbled upon the Silver Creek Nature Preserve. The 1,300-acre preserve was created in the 1970s at the behest of Jack Hemingway, Ernest’s son. At the time, Jack was the commissioner for the Idaho Fish and Game Commission and he urged The Nature Conservancy to purchase 479 acres to create the park. Silver Creek is astoundingly clear. You could see plentiful trout swimming around. Ernest Hemingway fished the stream extensively in the 1930s with friends and his son. 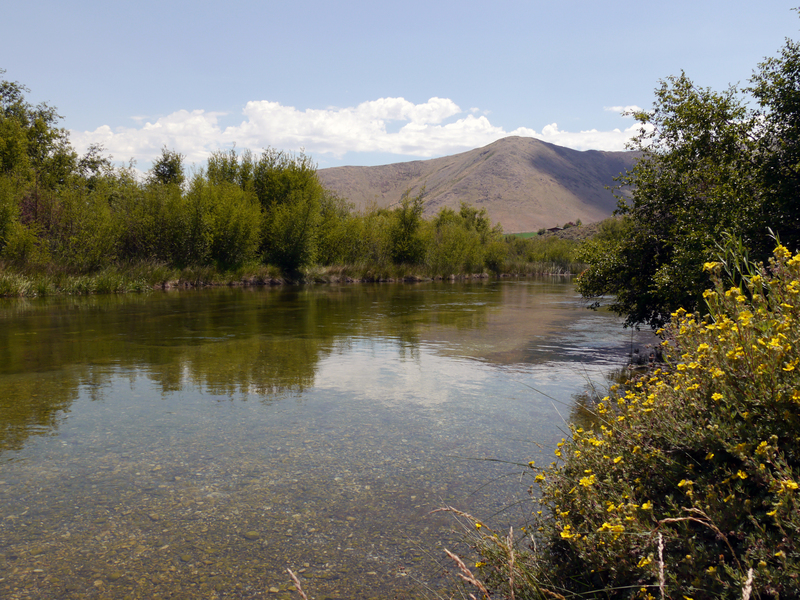 According to The Nature Conservancy’s website, Jack Hemingway continued to return to the area year after year to fish the creek. When we pulled into the park on a blistering Sunday afternoon, there were already fly fishermen on the river and photographers trying to capture images of the myriad bird species in the area. After checking in at the visitor’s center we were informed there were moose in the park and we should steer clear. I did not heed this advice as I have never seen a moose in the wild before. 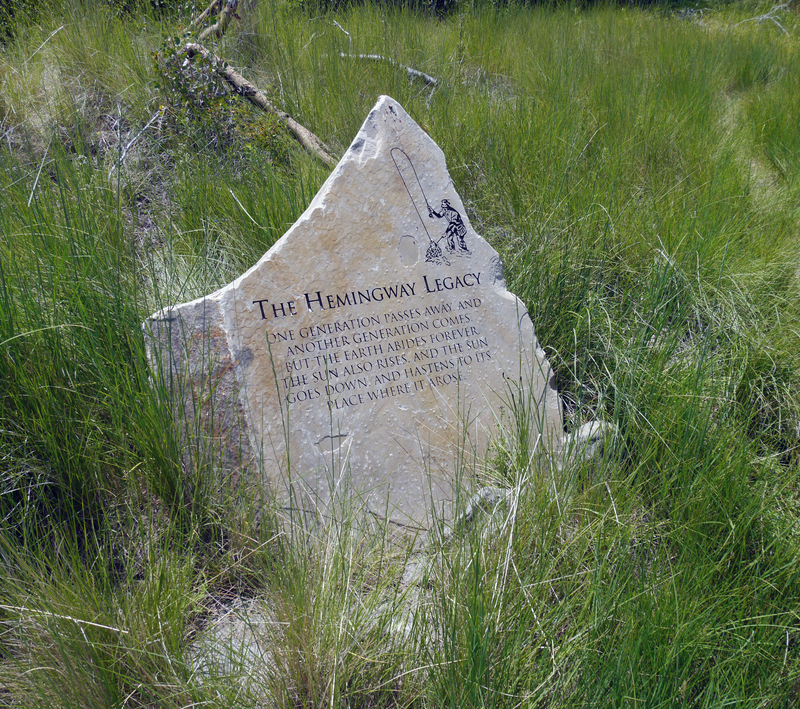 The monument dedicated to Ernest Hemingway, who often fished at the Silver Creek Nature Preserve. So we quickly set off through the 10-foot tall grass to try and find said moose. After walking across multiple logs on the trail, seeing stunning vistas of the mountains across the valley, admiring the clear stream and being bitten by 10,000 mosquitoes, Veronica and Catarina decided to head back while I took a quick jaunt forward to try and find the moose. Despite ranging deep into the park, I never did find the moose. So either the lady was lying or my clumsy tromping down the path scared them off. Despite that disappointment, the park was amazing. An oasis in the middle of the high desert. There is also a small monument along the creek dedicated to Ernest Hemingway that is a nice side trail to take on the way out of the area. 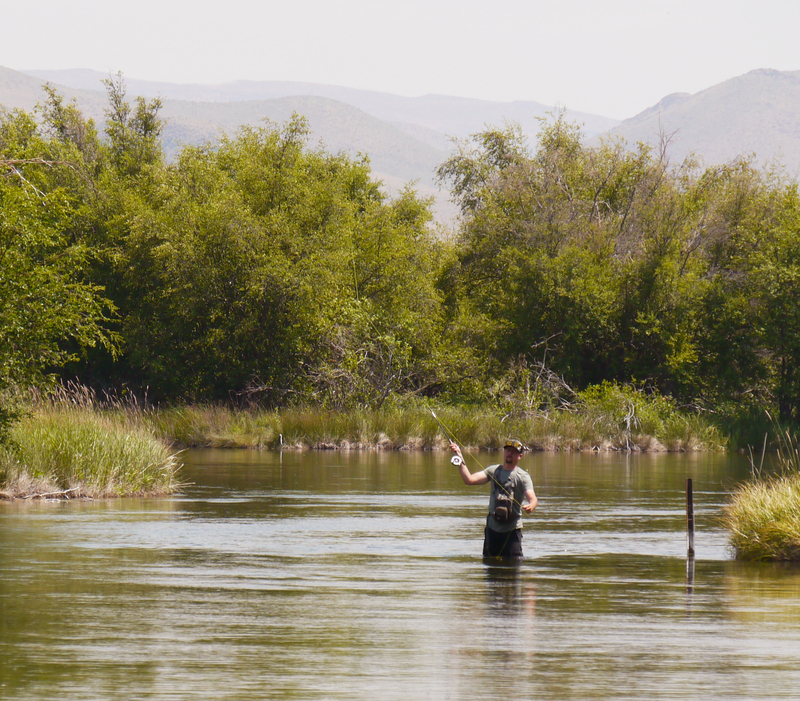 A man fly fishes on Silver Creek, standing where Ernest Hemingway and his son Jack once stood. The preserve is well known for its photography of moose, elk, sand cranes and other birds. It also features a variety of plant color and amazing sunrises and sunsets with the mountains as a backdrop.